As many as 20,000 votes cast for governor in the 2010 state election were voided because voters unintentionally cast their ballots for more than one candidate, according to a new study set to be released this week. In addition, as many as 40,000 votes were voided in other contests in New York State, according to the study by the Brennan Center for Justice at the New York University Law School. The excess votes were blamed primarily on the new electronic optical-scan voting machines, the New York Times reports in an early preview of the study. The new machines record votes as part of a paper trail, but don't alert voters when they accidentally cast their ballots for more than one candidate. 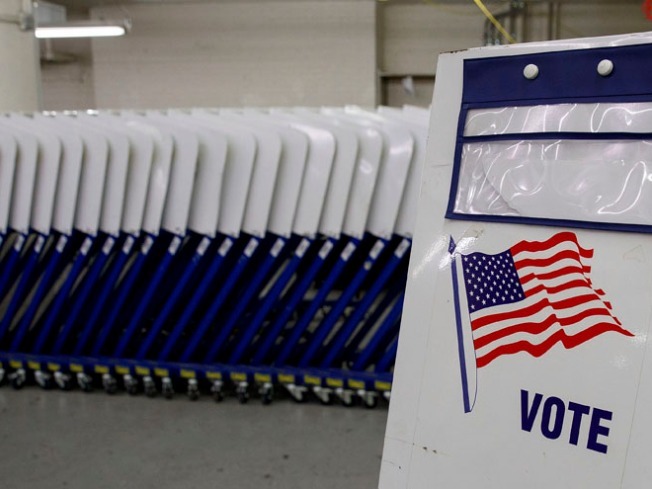 New York rolled out the machines for the 2010 elections, the last state to do so in compliance with a federal law designed to prevent the chaos and confusion of the 2000 presidential election in which hanging "chads" forced a long and contentious recount. The "overvoting" on the new machines happened primarily in predominantly black and Hispanic neighborhoods, including two Bronx election districts where 40 percent of the votes for governor were disqualified, the New York Times reports. Ambiguous voting instructions were also blamed. "Lost votes due to overvoting occurred far more frequently in areas with higher populations of low-income residents, people of color and immigrants," the report said. "A well-functioning voting system, even one that includes optical scan equipment, should have overvote rates very close to zero." The study found that 32 percent of election districts in the Bronx had excess-vote rates of greater than 1 percent, according to the New York Times. In Brooklyn, 19 percent of election districts had excess-votes; in Queens, in 14 percent; in Manhattan, 12 percent; and in Staten Island, over 10 percent. The State Board of Elections has already agreed to provide clearer instructions to voters using electronic machines.